Heat oven to 350°F. Spread pizza sauce evenly over tortillas to within 1 inch of edges. Sprinkle each evenly with cheese. Arrange 1/4 of pepperoni slices down center of each tortilla. Roll up each tortilla; wrap each in foil. Bake at 350°F. for 10 to 15 minutes or until thoroughly heated and cheese is melted. Assemble the wraps and place them on a microwave-safe plate. Microwave on HIGH for 1 to 3 minutes or until cheese melts. For veggie pizza wraps, omit the pepperoni and add fresh vegetables. Broccoli, chopped bell pepper and/or onion slices can be used in place of the pepperoni in these pizza-flavored wraps. 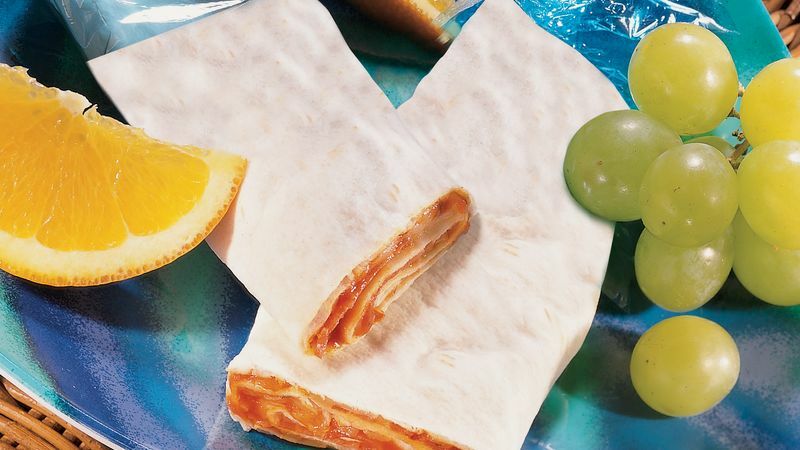 Let beginning cooks help make these sensational wraps for dinner or for a snack. Have squeezable pizza sauce and pre-shredded cheese on hand, and help younger children heat the wraps in the microwave.